IMPORTANT LEASE TO TAKE OVER!! The living room is transformable and can offer a very confortable double berths! This Greeline 33 has very low hours and is equipped with a Volvo Penta D3 - 220. She comes with a considerable leasing to take over, which makes her a very interesting boat from 2016! Superdisplacement hull is optimal in all sea conditions and generates less drag, less wake and requires less fuel. Seaworthiness (Class B Certified Yacht, built to navigate winds up to 34-40 knots and waves of 13-20 ft). 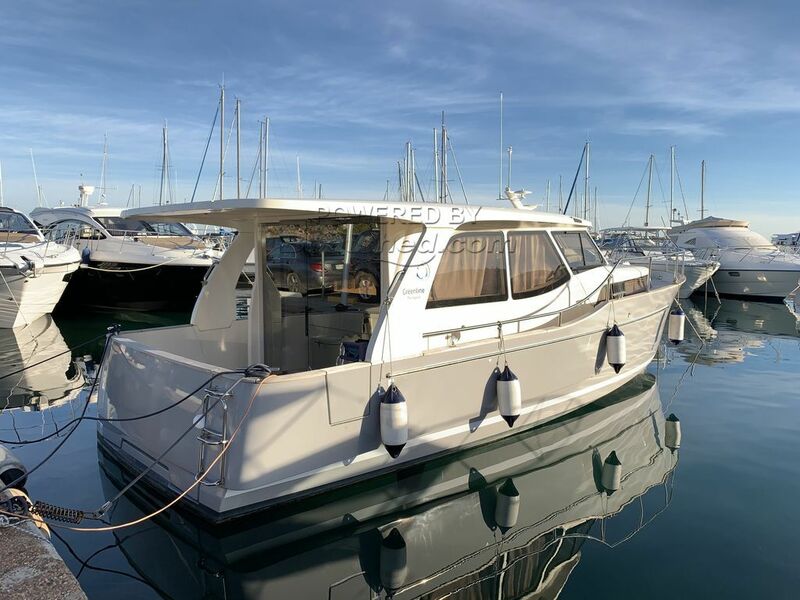 This Greenline 33 has been personally photographed and viewed by Antoine Perrin Daragon of Boatshed Riviera. Click here for contact details.